In February this year and after training and testing our A.I. Stylist for 2 years we decided we were ready for London Fashion Week. 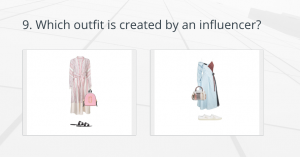 We previously spent a lot of time testing with various stylists we worked with, as well as by withholding parts of the dataset from the model and measuring user behaviour in our app. We were iching though to take it to the ultimate fashion event of the year and see the reactions of random members of the public. Our goal was not to run a scientific experiment. This happens daily in our lab, where we test with thousands of outfits (blog post on that coming soon). Our goal was to interact with real people, hear their feedback, see their reactions and most importantly satisfy our curiosity. Would fashion lovers from all over the world be able to tell the difference? So we decided to design an experiment. We generated 10 sets of outfits. In each set, we added two outfits of similar style. One generated by our A.I. stylist and the other collected by instagram influencers. 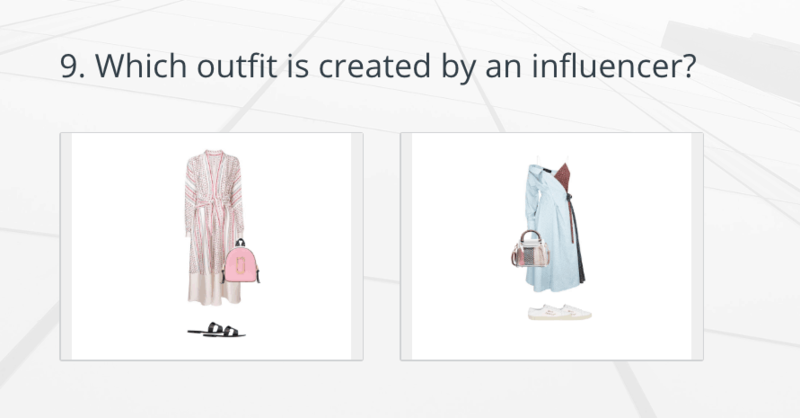 The question we asked participants, was “Which outfit was created by an influencer?”. Here is an example. We used SurveyMonkey to run the survey. Our sample consisted of 27 participants, 82% of which were female. Each correct guess got 1 point. 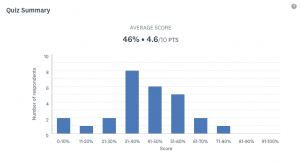 Participants scored on average of 46%. For reference, if they were randomly responding to the questions they would have scored 50%. The highest score by a participant was 80% and the lowest 10%. Often participants asked what were the criteria to make the decision and our answer was “Choose the one you like best”. 70% of them prefered the outfits created by our A.I. So how do we do this? We examine thousands of outfits put together by stylists, influencers, designers and retailers. Using deep learning, we extract the essence of style. We go a lot further than your typical computer vision techniques that focus on pattern recognition. Using machine learning to find visually similar clothes is commonplace these days. However, style is a lot more nuanced than finding similar patterns or colours. Two seemingly different patterns or fabrics can really sometimes be combined together to build a beautiful outfit. And two pieces of clothing that would normally clash, can be brought together in a beautiful outfit with the use of the right accessories. Using the latest in deep learning, we have just started decoding the genome of style. A.I. is only at the beginning of it’s journey but it’s making huge leaps every day. Why is the important? Well, it is a huge step for diversity in the fashion retail industry. While body positivity is a huge movement, most retailers still build their lookbooks through studio photoshoots with models. This means that looks offered to customers on retail websites, cater to one body type, skin tone, hair tone and eye colour. Offering styling advice to each customer is expensive for a retailer. And what about different occasions, weather and style preferences? A.I. 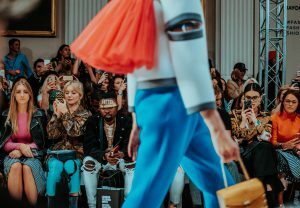 offers the potential to scale fashion styling advice, creating outfits personal to the needs of each customer, celebrating diversity and individuality. Companies such as Stitchfix have already demonstrated the power of that approach. We want to take this further, allowing customers to digitise their wardrobe, style their own clothes and receive a personal service across their favourite retailers.